ArmorRefers to items that can be equipped by players in the body, hands, and feet slots in their Profile interface. The available types of armor differs based on the player's class. Armor is not to be confused with Armor Costumes, the latter of which does not provide defense and balance modifiers. The profile interface is fairly simple to understand. To equip armor, you may right click the armor of your choice in your inventory, or alternatively left click and drag to the appropriate box. Hovering with your cursor over an armor icon will show you the details (including modifiers) of the piece, compared with what you have equipped. Armor is referred to differently depending on class. Metal armor, made with various types of metal found in Arborea, is worn by Berserkers and Lancers, consisting of a Hauberk (body), Gauntlets (hands), and Greaves (feet). Leather armor, made from various qualities of hide, is worn by Archers, Slayers, and Warriors, consisting of a Cuirass (body), Gloves (hands), and Boots (feet). Cloth armor, made from various plant fibres, is worn by Mystics, Priests, and Sorcerers, consisting of a Robe (body), Sleeves (hands), and Shoes (feet). TERA is blessed with a number of different styles in all classes of armor. Three important things to note about the appearance of your armor are: armor appearance is race and gender dependent; you can remodel or dye your armor; and you can hide your armor with an Armor Costume. In video games, armor appearance is usually gender dependent. 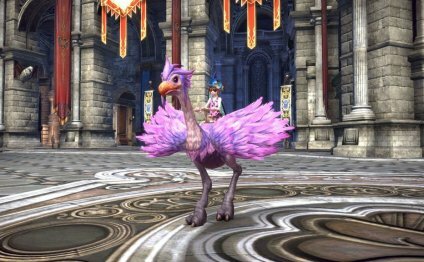 In TERA, however, it is also race dependent. The same pieces of armor can look very different when a different race wears it. See the example image on the right: Both the High Elf female and the Castanic female are wearing Lymei's Robe, Faevine Sleeves, and Faerie-made Shoes. Occasionally you will pick up a piece of armor that you like the stats of, but dislike the appearance or colour of. To remodel your gear, you will want to visit the Equipment Remodeler in a major city. You will require a template or a piece of armor you desire the appearance of, as well as the piece of armor you wish to change the appearance of. The Equipment Remodeler sells appearance templates and will charge you a remodeling fee. To change only the colour of a piece of armor, you may visit a Dye Merchant in any major city, who sells both premade Bottled Dyes and Dye Kits. Dye Kits require additional materials to be crafted into dye, and must be crafted at a campfire.